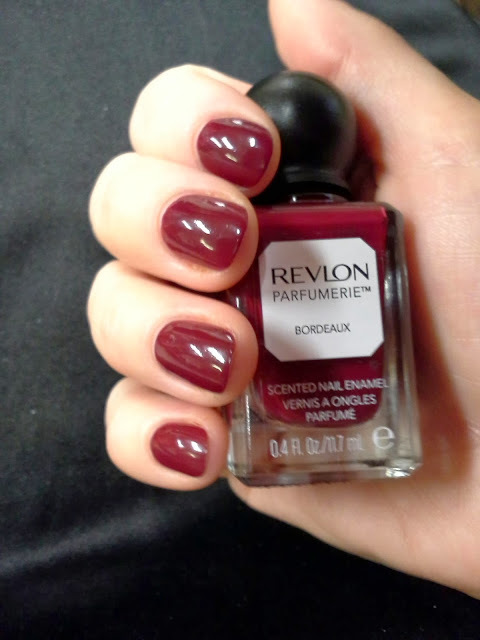 Here is the first of the scented polishes I picked up. 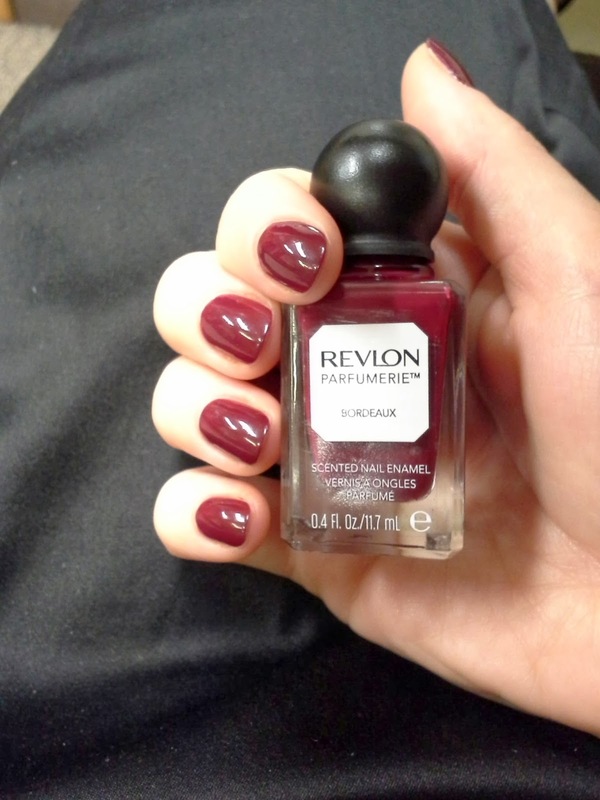 I love deep wine colors paired with my fair skin, and this definitely fits that category. It applied nicely, the round handle of the brush was easy to get used to. As of the next morning the scent was still there, but you have to actually sniff your fingers to smell it, which admittedly looks a little weird to nail- outsiders, lol. I would definitely purchase more of these, I liked the formula, and the novelty of the scent, and the price was great too. My rite aid had them at $5 and change, plus they were a bogo 50% off ( so of course I had to get two ! ) I'll have pics of the other, china flower, up soon.